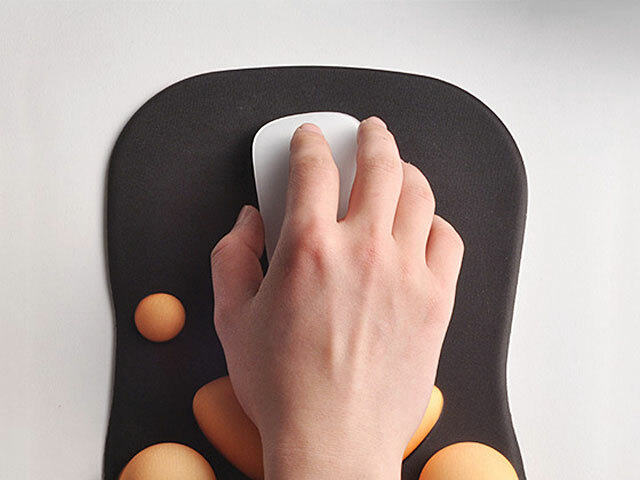 Keep your wrist comfortable and pain-free while you use your computer with this extremely comfortable mouse pad and wrist cushion. 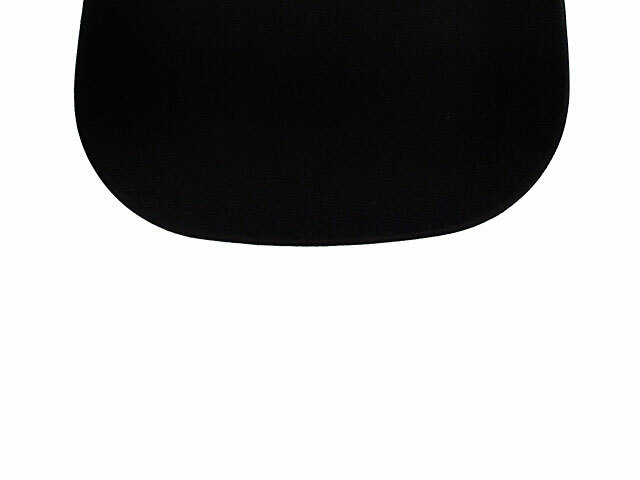 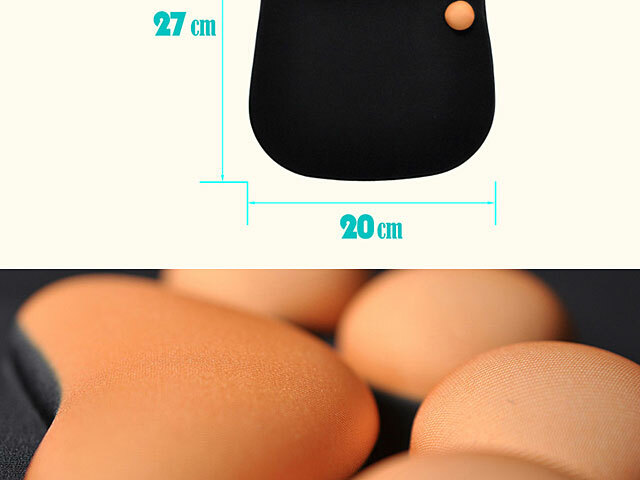 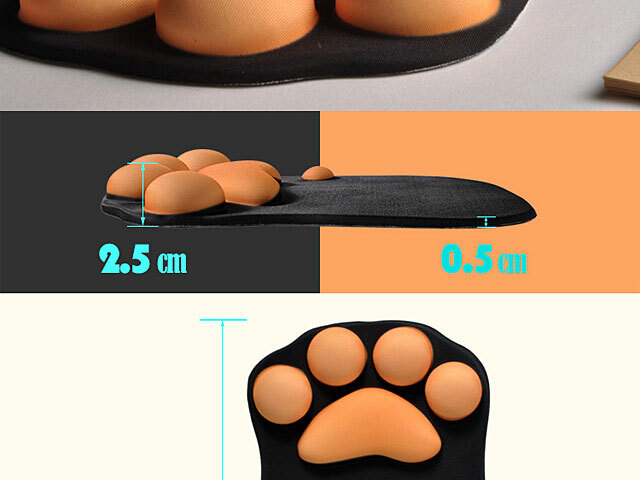 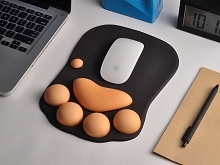 The black polyester-covered mouse pad provides a smooth surface for your mouse to glide across, and the firm yet comfortable yellow silicone pads that form the shape of a cat's paw provide the perfect combination of support and comfort for your wrist. 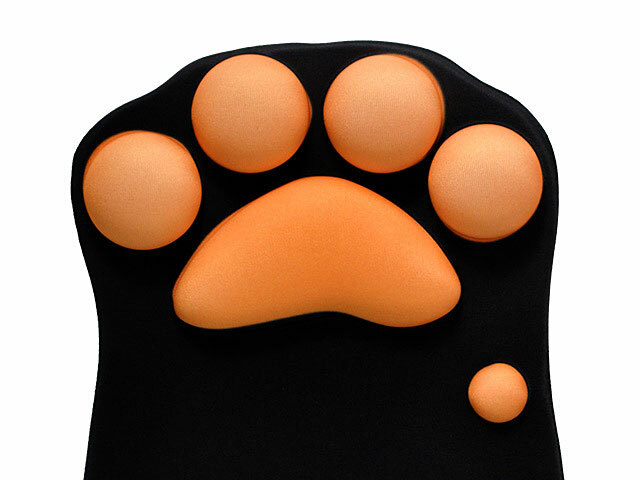 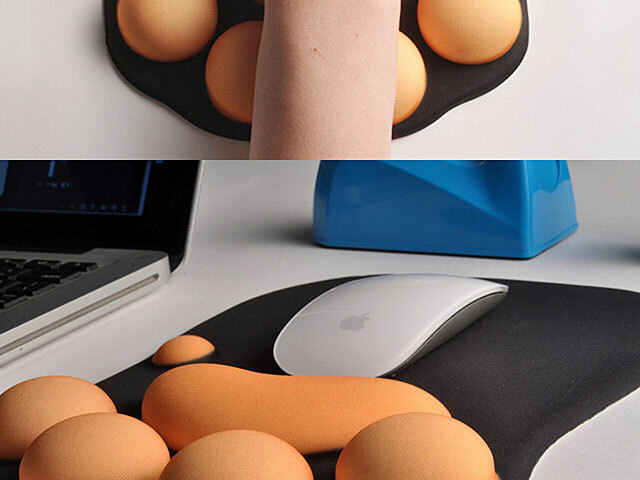 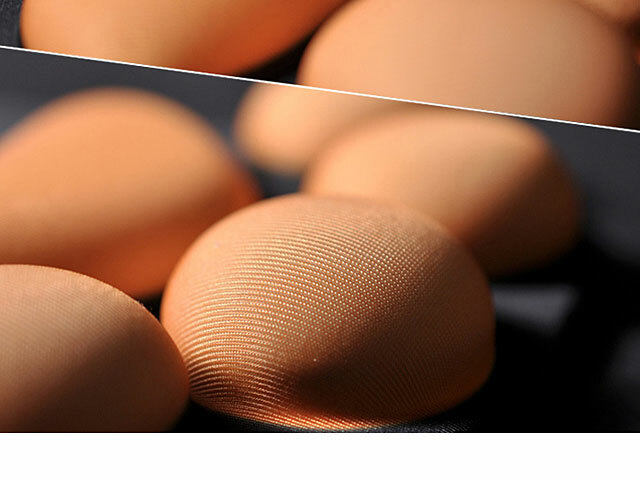 Whether you're working at the office or surfing the web at home, your day on the computer will undoubtedly be a little brighter and a little more comfortable with the addition of this fun and functional mouse pad with a cat paw wrist rest.